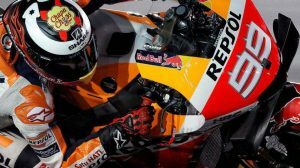 After Jonathan Rea’s double on the asphalt of Laguna Seca, the World Superbike will cross the Atlantic Ocean to compete in the Marco Simoncelli Misano World Circuit, a track on which Marco Melandri feels at home. The Italian is from Ravenna, a town that is barely an hour away from the track, and last year achieved the victory to his fans. The downside is that it comes at a strange time because in the last four races he has suffered many ups and downs: from the second position in Brno to the 19th on Sunday at Laguna Seca, where his teammate, Chaz Davies, signed two podiums. When it comes to designating the main rival for all WSBK pilots, it is hard to make mistakes. Jonathan Rea has activated the cruising mode and advances inexorably until his fourth crown of the competition. His advantage in front of the general is up to 75 points over Chaz Davies, although the Welsh recovered the good feeling in California and wants to maintain good dynamics in the Riviera di Rimini. In case Jonathan Rea or his partner, Tom Sykes, get a win, Kawasaki will equal Honda as the second most victorious record in the history of the championship (with 119). And in favor of Ducati plays another statistic: the brand of Borgo Panigale has signed a total of 29 wins and 77 podiums in Misano. It is the best relationship between a WorldSBK manufacturer and a circuit. 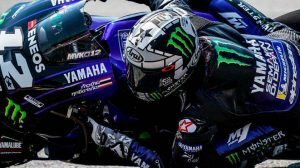 Yamaha riders, Michael van der Mark and Alex Lowes, will face San Marino with good dynamics. Both have achieved their winning this year and have in their mind the solid race starring VD Mark in 2017, although the Dutchman suffered a tire problem when leading the test and went to the ground. On this occasion, the R1M and its riders will enjoy a much greater potential. In the fight to be the best private rider, Xavi Forés will take advantage of the tuning of Ducati with the circuit to look for the results of the start of the season and fight for the podium. Toprak Razgatlioglu, his main rival in the fight to be the best private rider, is far away. Regarding the Spanish Navy, little news: Jordi Torres continues his fight to consolidate near the top five places and Román Ramos, with more difficulties than other years, will continue his battle to reach the top ten. Yamaha, the brand that has bet more on the 600cc during the last years, is the great dominator of the intermediate category. The first four classified riders use the Iwata motorcycle and during the start of the campaign there were intense battles but, little by little, Sandro Cortese (1st) and Jules Cluzel (2nd) stood out against Randy Krummenacher (3rd) and the current one champion, Lucas Mahias (4th). The preparation of engines at the electronic level is being key to be competitive, a circumstance that has led to the arrival of a new regulation. 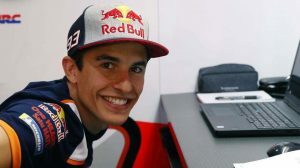 Starting next year, WSSP will incorporate a common electronics, the formula that has brought so many successes to MotoGP. Although in Brno finished 11th, Ana Carrasco has been the most regular in the category of the World Superbike and, thanks to her two wins, has 20 points more than the second classified: Borja Sánchez. There are three trials left for the championship to end in Magny-Cours and it depends on herself. With three second positions would be worth to proclaim herself as the first female champion in a world speed. Markus Reiterberger and Maxi Scheib are starring in a beautiful duel in which they should not relax. With three races ahead, the room for maneuver in case of making an error is minimal. The ball is on the roof of Scheib, who must recover the nine points that Reiteberger has on him.